Azélia of Azeilas Kitchen really made me laugh recently on Twitter, she was talking about wholesome breads and wearing stick-on beards and socks and sandals and I thought about the bread I had just made and it fits that category to perfection. I haven’t worn facial hair since I rode a pushbike through the streets in a Groucho Marx mask one night from one party to another, but I have had the pleasure at least and I urge you to do it one day if you haven’t. I started with what I had in the kitchen; sprouted pulses and some walnuts left over from Christmas. I have dug out my sprouting jar recently, thanks to the reminder from the 52 week salad challenge so I thought I would post this as my February contribution, as the frost has got hold of the last of the wintering vegetables and herbs in the garden this month. Edit: I have just found the round up page on VP’s blog for the last one. Have a look and join in. Lots of wonderful info on growing micro greens that I am going to read up on right now…. I wonder if children do sprouting in schools now as we did? Even if you don’t take much interest in growing your own food in your teenage and young adult years, if you have had these experiences as a child, they are something to draw upon later in life when maybe you have more time to garden and participate in the great elemental joy of growing some of your own food. This loaf used sweet walnut pieces, our home grown sprouts, thick yoghurt, water, Felin Ganol flours, yeast and seasalt. I need to make it again before I can be sure I have got the numbers right, I scribbled them down on a piece of paper and they looked a bit odd when I came to write them up here. We had slices of this soft and nutty bread with cottage cheese, some mung bean sprouts and a sprinkling of za’atar, a mix of thyme, sumac, salt and sesame seeds. Can’t get much nicer than that in my book and in fact it’s all gone now, every last little bit! Sprouted grains are lovely too just dressed with a simple dressing of lemon, oil and mustard as part of a salad with a toasted bun. I think they have a great affinity with nuts, so mix them up with pine nuts, or walnuts or whatever you have around. Mitchdafish has just tweeted me this picture…. (she had a chunk of this loaf to try at home) …. hee hee! This entry was posted in Bread, Food, Recipes, Vegetables, Yoghurt and tagged 52 week salad challenge, baking, Bread, Felin Ganol, Food, sprouted grain, walnut, wholesome on 10/02/2012 by Joanna. The Mellow Bakers are almost at the end of their long journey through ‘Bread’ by Jeffrey Hamelman and I have been so mellow of late that I have hardly baked any of the monthly breads. 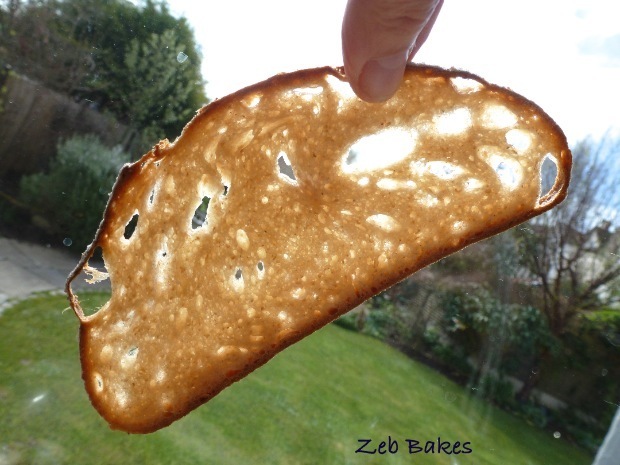 This entry was posted in Bread, Mellow Bakers, Soup, Yoghurt and tagged Bread, Jeffrey Hamelman, Mellow Bakers, red pepper and sweet potato soup, seed sourdough on 14/12/2011 by Joanna. 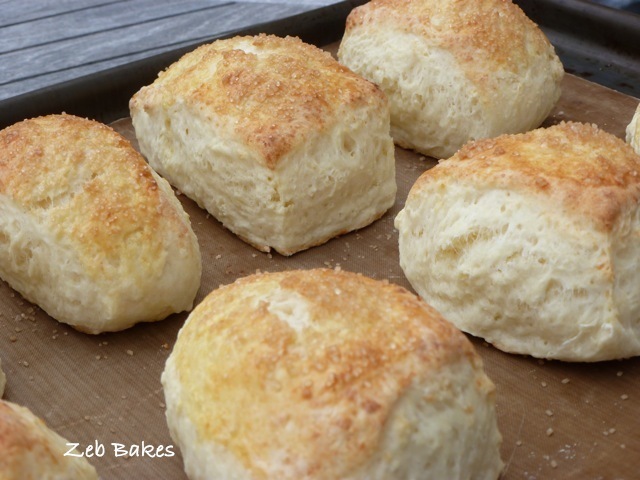 I is for….. International Scone Week! and for once I listened. So you have been spared my learned treatise on etymology and the roots of words like inspiration = in + breathe and another one that took my fancy last night : integrity – from the word ‘integer’ meaning ‘untouched, undivided, a complete entity’ . I can hear the yawns, bad idea wasn’t it? This entry was posted in Alphabet in August, Buns, Yoghurt and tagged baking, I love my blog friends, inspiration, integrity, international scone week, ricotta, scones, yoghurt on 10/08/2011 by Joanna.